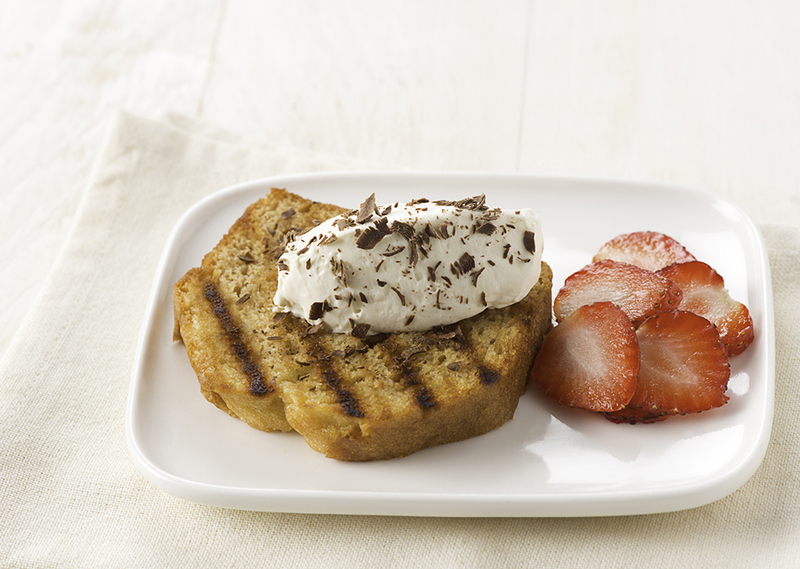 Made with prepared pound cake, this quick and easy twist on a classic Italian dessert is rich and decadent. The coffee flavor adds an irresistible aroma to this sweet treat. With electric beaters, beat mascarpone until light and fluffy. Beat in whipped cream, icing sugar and vanilla until smooth; keep chilled. Preheat your George Foreman Grill for 5 minutes with the lid closed. Meanwhile, combine espresso with melted butter and sugar. Brush some onto both sides of pound cake slices. Place on grill and cook for approximately 2 minutes or until heated. Brush slices with more espresso mixture. Place each pound cake slice on a dessert plate. Add dollop of whipped mascarpone topping. Garnish with chocolate shavings or cocoa powder. Tip: If you don't have espresso, use strong brewed coffee.